Apartments for rent in New York, NY - home page. About us - about FlatFinders Realty Inc. and our apartment finder services in Greenpoint, Brooklyn and Williamsburg in New York. Apartment Rentals - the list of available apartaments for rent in New York. House Sales - houses for sale in Greenpoint, Brooklyn and Williamsburg areas in New York. Apartment finder in New York, NY - leave your details and we will help you find the most suitable apartment for rent or house for sale for you. 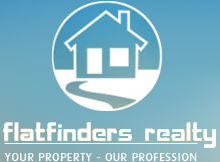 Contact us - FlatFinders Realty Inc. contact information.